At Forest House Veterinary Group we understand that your pet means the world to you. Your pet’s health and wellbeing are very important to all the staff at Forest House, and it is at the very heart of everything we do. We will always go that extra mile to give you and your pet the very best level of service and care. We are a privately owned Veterinary Group and have been established in the area for over 100 years. We aim to provide a friendly, caring service supported by a very high standard of facilities and equipment. Our main hospital is located in Windsor with a resident nurse on site 24 hours a day. We are proud to offer a 24 hour service covered by our own vets, assuring you and your pet continuity of care. We also have branch surgeries in Ascot and Egham, and all our branches offer free parking. Forest House Veterinary Group is open seven days a week with late night surgeries until 8pm on a Tuesday and Thursday for your convenience. Same day appointments are available. 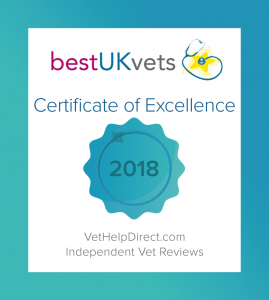 We are a Royal College of Veterinary Surgeons Tier 3 accredited Veterinary Hospital and members of our highly skilled team are on-site 24 hours a day.